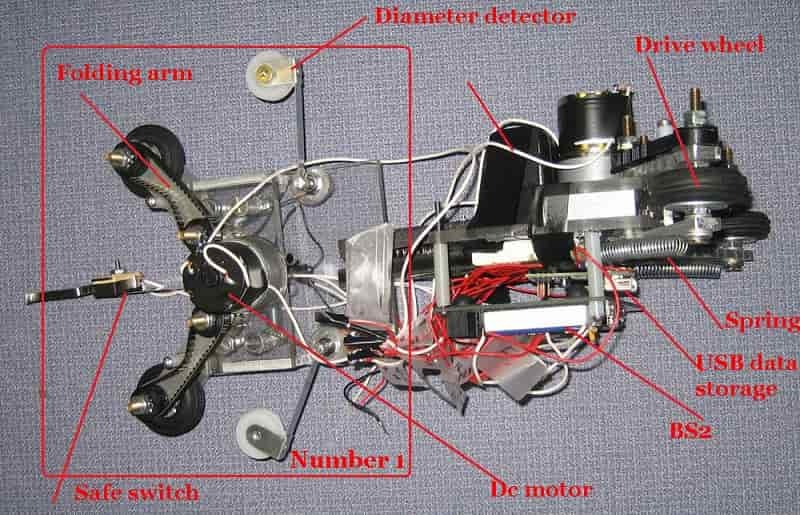 A pipe inspection robot is device that is inserted into pipes to check for obstruction or damage. These robots are traditionally manufactured offshore, are extremely expensive, and are often not adequately supported in the event or malfunction. This had resulted in associated environmental services limited. A Newzealand utilize of this equipment, facing significant periods of down time as they wait for their robots to be the repaired. Recently, they were informing that several robots were no longer supported. This project was conceived to redesign the electronics control systems one of these PIR, utilizing the existing mechanical platform. Requirements for the robot were that it must operate reliably in confined, dark and wet environments and provides a human wears with a digital video feed of the internal status of the pipes. There robot should as much as possible incorporate off the shaft components, cheap, and potentially onsite repair. This project details the redesign and constructions of such robots. It employees there electronic boards integrated with mechanical components and provides video feedback via custom graphical interface although at the prototypes state the electronics has been successful with cost of less than a length of the original robot purchase prize. Design of the inspection robot depends on two main critical factors: size and shape of the pipeline. It will weigh strongly on the maneuverability of robot and its dimensions. The pipe inspection robot inspects situation inside the pipe which will be recorded and displayed on the monitor screen, it also facilitates working personnel for effective observation, detection, quick analysis and diagnosis. Save comprehensive investment, improve work efficiency, more accurate detection. Reduce the frequency of entering into the testing environment. Operating cost related to other method is low. Cost of manufacturing of this robot is relatively low. Pipe inspection robots have such limitations as their ability to turn in a T-shaped pipe or move in a plug valve. Another drawback of earlier robots is that the friction between the pipe and the cables for communication and power supply makes it difficult to move a long distance. A fiber optic communication system can reduce the friction. This robot does not work in water. This robot works only in empty pipe.